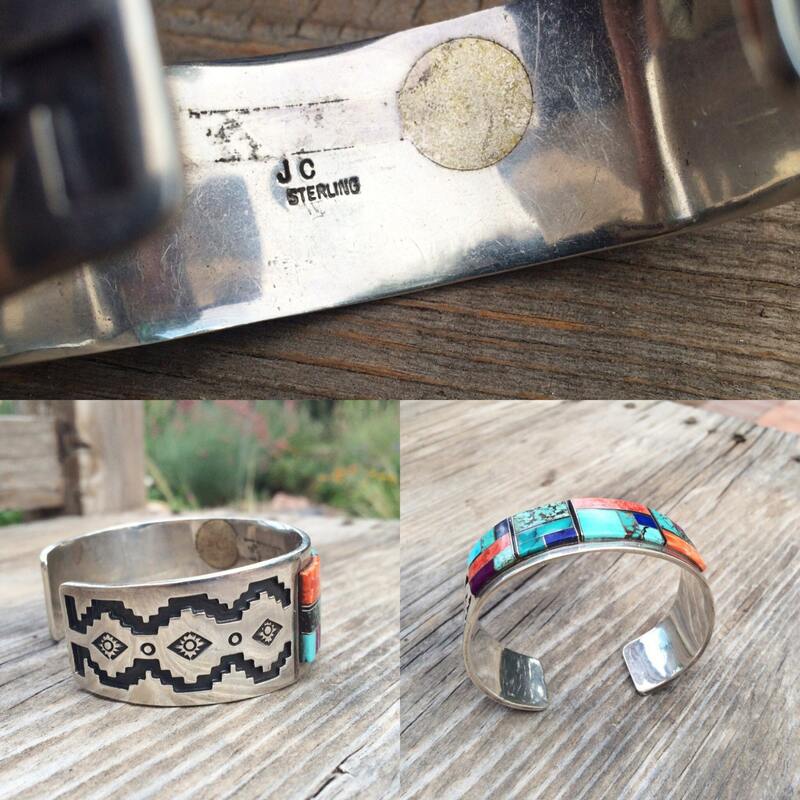 Here we have a heavy Men's or Women's channel inlay bracelet, signed by Navajo artist Jesse (also sometimes spelled Jessie) Claw, with spiny oyster, lapis, sugilite, and several different types of turquoise laid into sections separated by thin borders of sterling silver in a process called "channel inlay." 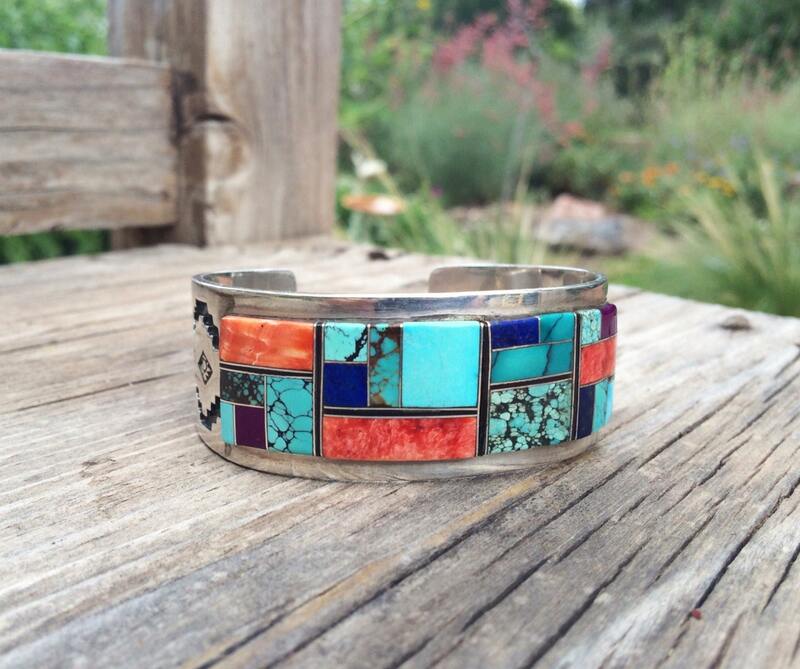 Channel inlay is complex--the artist cuts the stones precisely to fit the shapes created by the silver outline. In this particular case, the result is a beautiful mosaic of rectangles and squares. 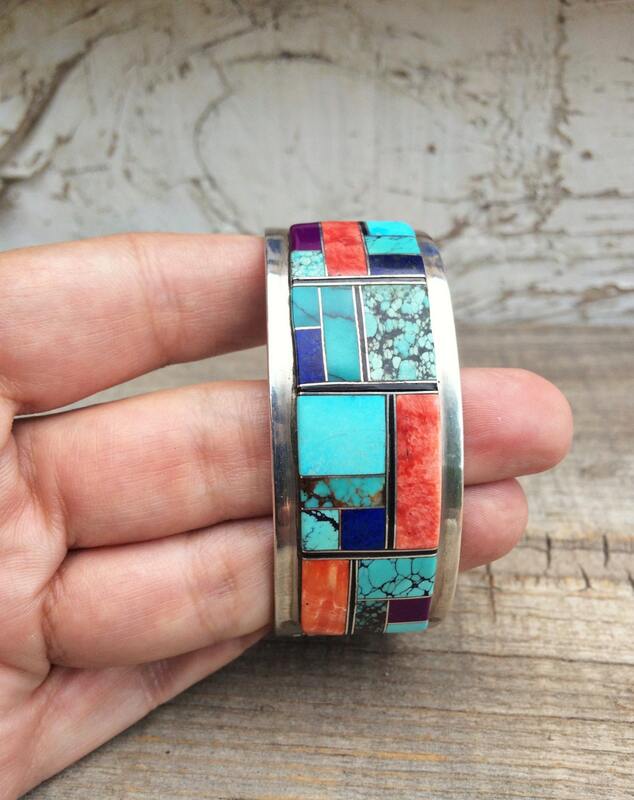 This cuff is especially striking as the channel inlay is laid onto a heavy band featuring silver overlay in a geometric design that complements the colorful graphic and structured mosaic. 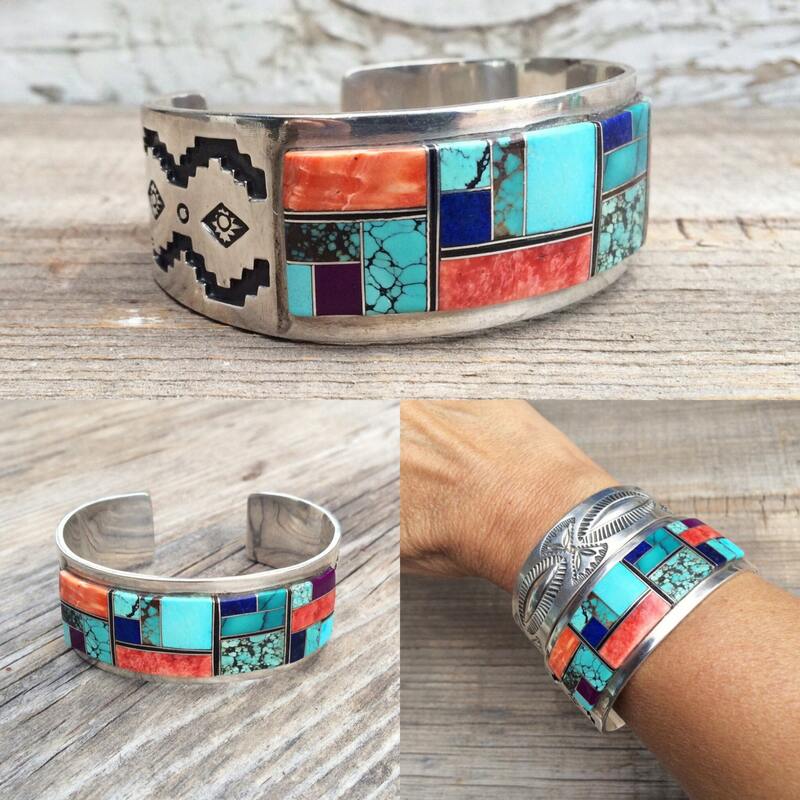 This cuff will fit a medium-large to larger wrist. The band is just about 6-1/4" around using a tape measure on the inside, with a 1" gap, so about 7-1/4" total, and is just about 1" wide. The section of inlay measures 2-3/4" end to end by 3/4" and sits just over 1/16" up off the band. The artist's initials and the word "STERLING" are stamped on the interior. There are small scratches from age, but otherwise in excellent vintage condition. 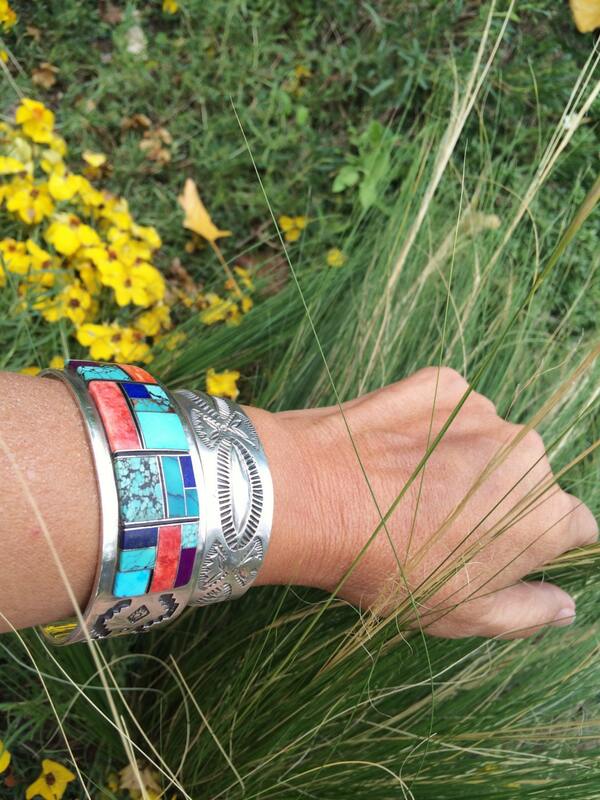 A big bracelet with big WOW appeal!